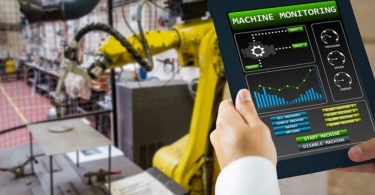 For many decades in manufacturing, automation suppliers have forged partnerships with System Integrators (SIs) to help end users implement initiatives, especially with core functionality within a company being outsourced. The last five years have seen those relationships get deeper as system integrators take on software and platform development. The latter is all about developing application programming interfaces (APIs) on top of platforms to meet customized requirements for a facility or enterprise. Along these lines, Pittsburgh, PA-based GrayMatter just announced that it acquired seven people from GE Digital in a move to grow operations and strengthen the relationship with GE, according to the company. The company sees itself as a software provider and system integrator while providing innovative solutions for end users. “There’s a significant increase in the market to make assets smarter and empower people with industrial data. We’re responding to that by boosting our resources and adding incredibly talented GE people,” says Jim Gillespie, ceo, GrayMatter. While there isn’t a clear-cut direction on what industries GrayMatter may be targeting, GE has been “steering the ship” toward the process industry over the last two years, such as water/wastewater, utilities and oil and gas. Last year, Efficient Plant reported on how IIoT created a new business outcome for a water/wastewater utility by commercializing its condition monitoring program via a platform API development. According to Jim Gillespie, co-founder of Gray Matter Systems, Pittsburgh (graymattersystems.com), a new Software-as-a-Service (SaaS) tool called ClariFind will alert utilities on sludge overflow failures and also predict thickening failures related to effluent not settling correctly. How do such operations pay for new sensing technology, equipment, and better communication infrastructure? In a recent blog post on TechCrunch (techcrunch.com), Gillespie pointed to “utilities selling solutions to other wastewater operations as the power industry has done.” As an example, he described how the Washington D.C. Water and Sewer Authority recently commercialized its intellectual property and provided a new revenue channel in the process. Click on the links above for a deeper dive on those applications. The bottom line many companies understand IIoT applications are essential for company survival — think Sears and Amazon — going forward and the landing spot form many first-time IIoT projects are in the asset management/maintenance MRO space.